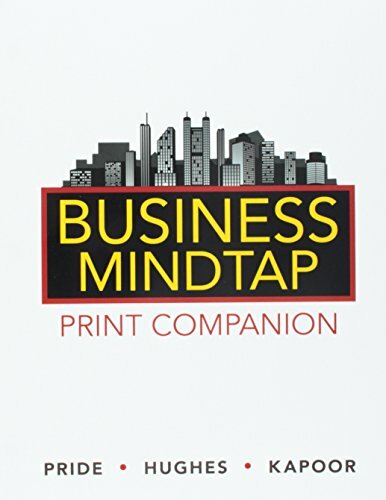 Author(s) William M. Pride Hughes, Robert J. Kapoor, Jack R.
Students save money by purchasing this ePack which includes Business Course Companion, Loose-Leaf Version, and LMS Integrated Business MindTap V2.0. MindTap with access to your campus Learning Management System, is the digital learning solution for the introduction to business course that helps instructors engage and transform you into a critical thinker. You "learn by doing," by reading and interacting with the content through various media and activities. Access to this product is valid for 6 months of usage.